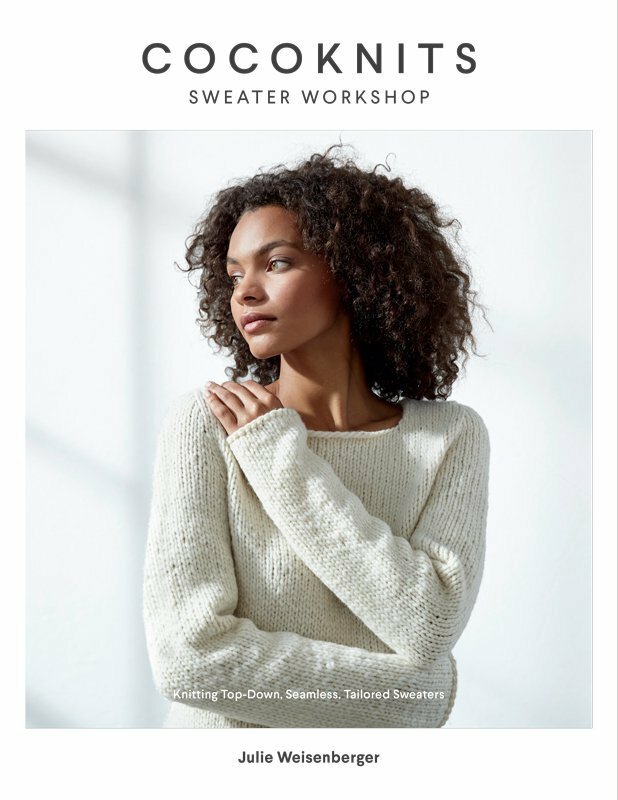 With over 30 years of knitting, designing, and teaching experience – Julie Weisenberger presents her first book: Cocoknits Sweater Workshop which includes nine new designs. The book expands on the simple, seamless, top-down styling we’ve come to expect from Cocoknits. More than just a collection, however, this book explains the Cocoknits Method – a system of tracking knitting progress in your own easy to follow customized worksheet. Unlike most traditional patterns that create flat shapes, the tailored style of construction in these patterns creates truly three dimensional garments that impart a great fit upon completion.